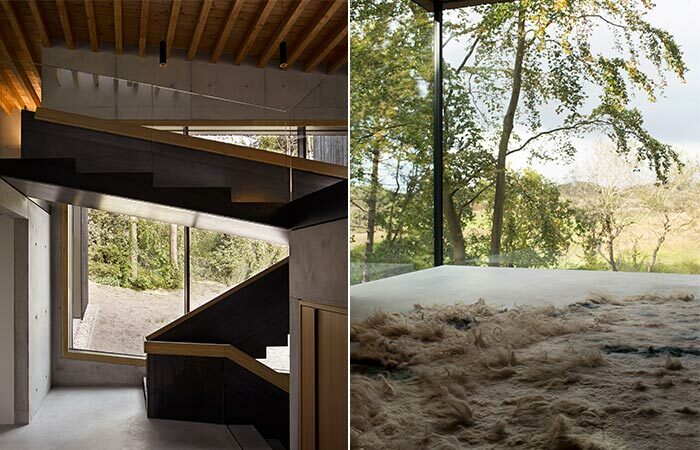 Nestled in a coastal nature reserve in The Netherlands, Villa Meijendel is the perfect forest house. Just like the cabins you imagine when you think of a house in the woods, this villa has the same charm, at least from the outside. 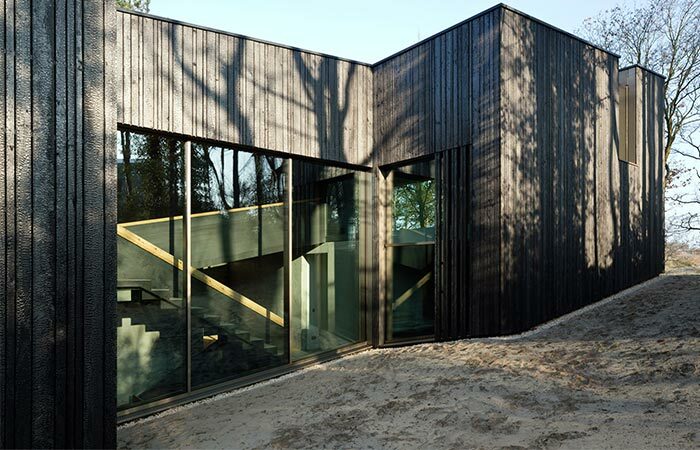 The black timber facade together with a valley of dunes creates beautiful landscapes. 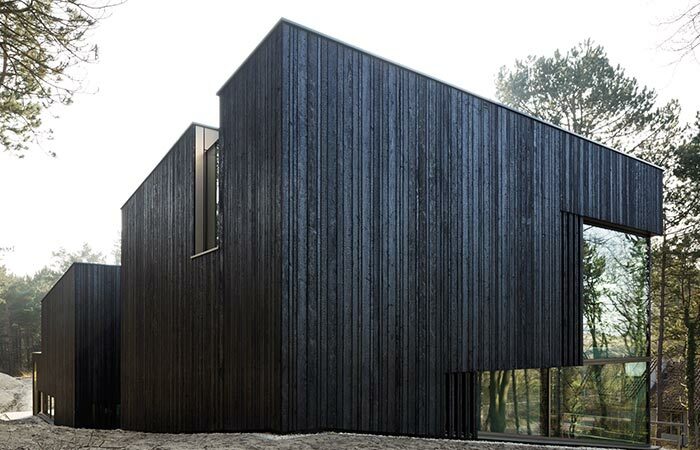 VVKH Architecten positioned the villa right next to a sandy slope that contrasts the black exterior. It’s actually built from concrete and covered with timber and large glass windows that provide great views. 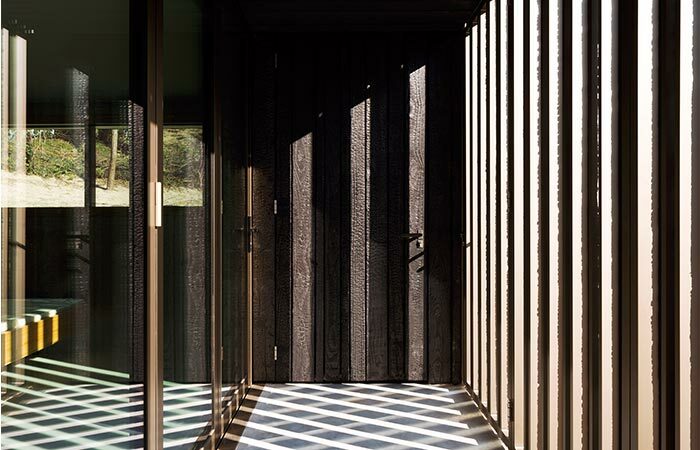 According to the architect, “Villa Meijendel is a fascinating artifact, a sort of wooden forest hut fully integrated in the landscape, and with a strong connection between the interior spaces and immediate surroundings”. 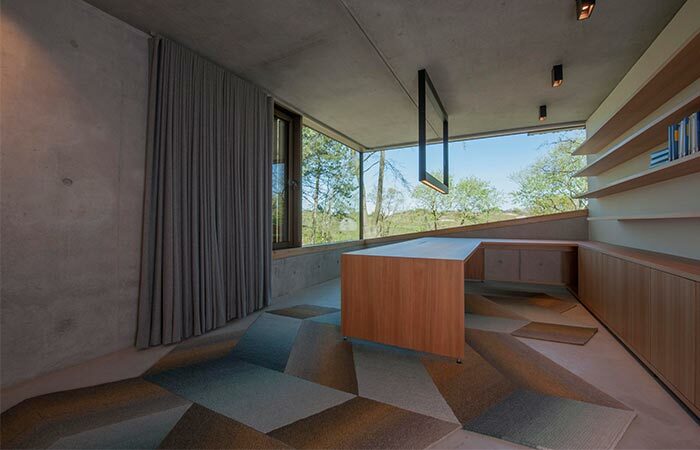 Villa Meijendel is made by VVKH Architecten in the Netherlands, just outside The Hague. The villa is surrounded by a sand dune and built next to a forest. The entrance to the villa is from the mid-level, the one that houses an office and two bedrooms. The top floor is where the kitchen is, together with a large living area. Finally, all the way downstairs, you can find the master bedroom and a gym, as well as a room built for relaxing. 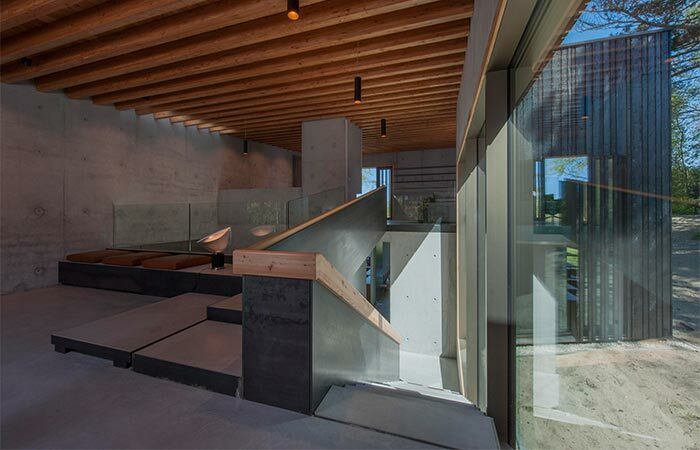 The interior is minimalistic and features raw materials. 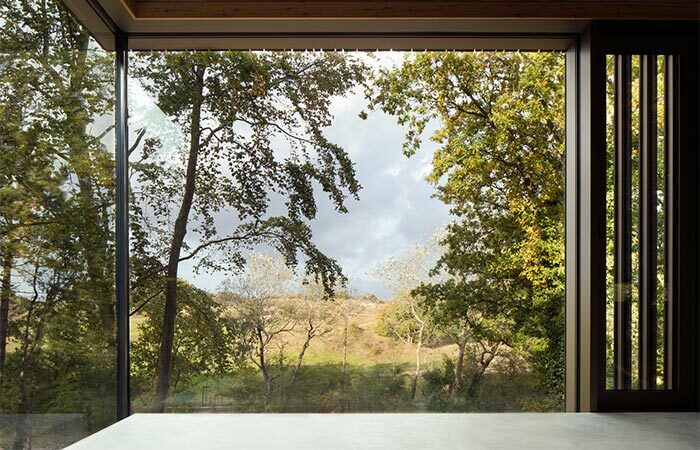 Large windows connect the inside with the natural surrounding. A view from one of the rooms.